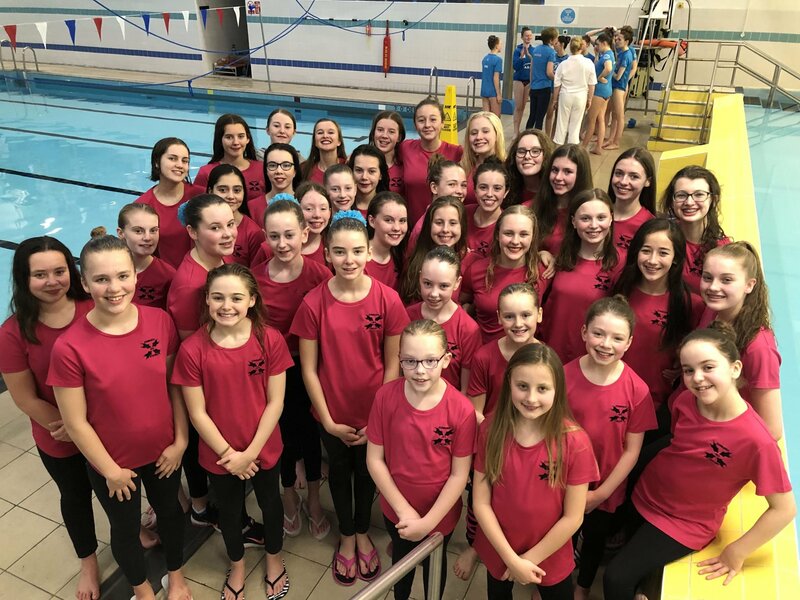 The final competition of the year saw almost all of the swimmers from the club travel to Bellshill for a busy afternoon of routines. There are only four events, with all abilities in each one, but the points system means that every routine counts towards the overall trophy. Every swimmer put their all into their routines and all the swimmers should be so proud of their achievements. 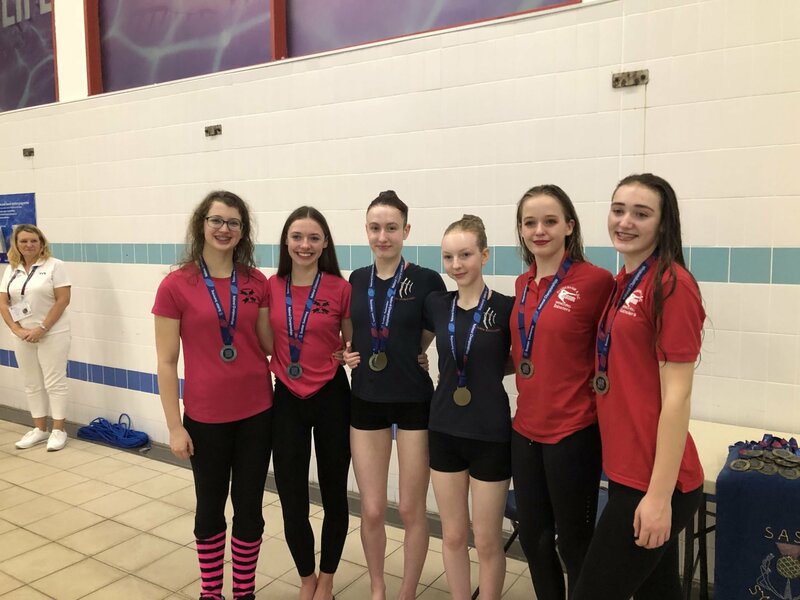 In the solo event, the club’s three swimmers performed well, placing sixth, seventh and ninth, out of 13. Amy pre-swam in the Masters category as she isn’t quite old enough to be a master yet, and wowed everyone with her performance, which achieved the highest score of the competition – 69.8. In the duet, the club entered the maximum of five and Cale and Niamh’s Wonder Woman duet won the Silver medal. The other duets placed fourth. fifth, eleventh and 14th, out of 19. In the free team event, clubs may enter one free team for each age group. This is the only event where there is a minumum grade required. However, all age groups swim against each other. Edinburgh entered it’s 12&under and 13-15 teams. Both teams swam brilliantly and the 13-15 team won gold, with the 12&unders coming 5th. The main event of the competition is the Combination teams and consisted of 14 routine from six different clubs. 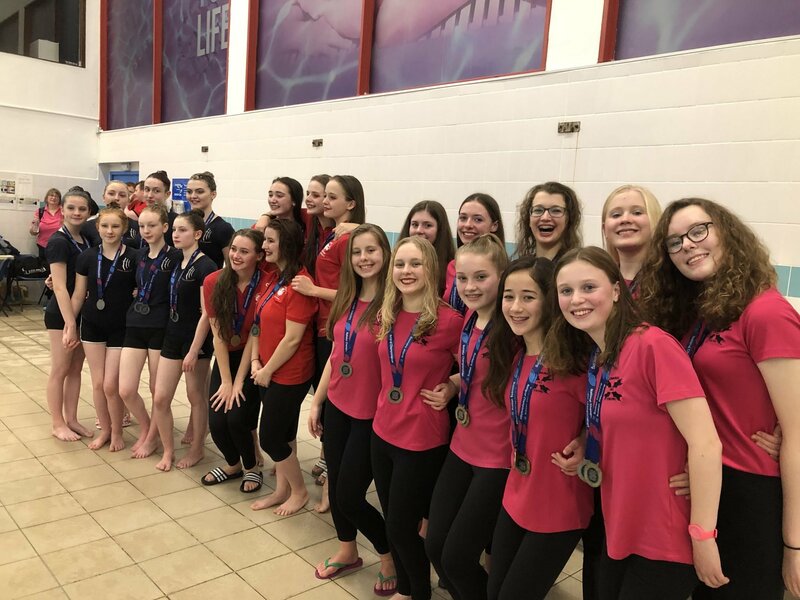 Edinburgh entered four teams again this year, comprised of experienced swimmers to swimmers who have only been with the club since August. They all swam excellently. The Edinburgh B team won a bronze medal for their Back to the Future routine. 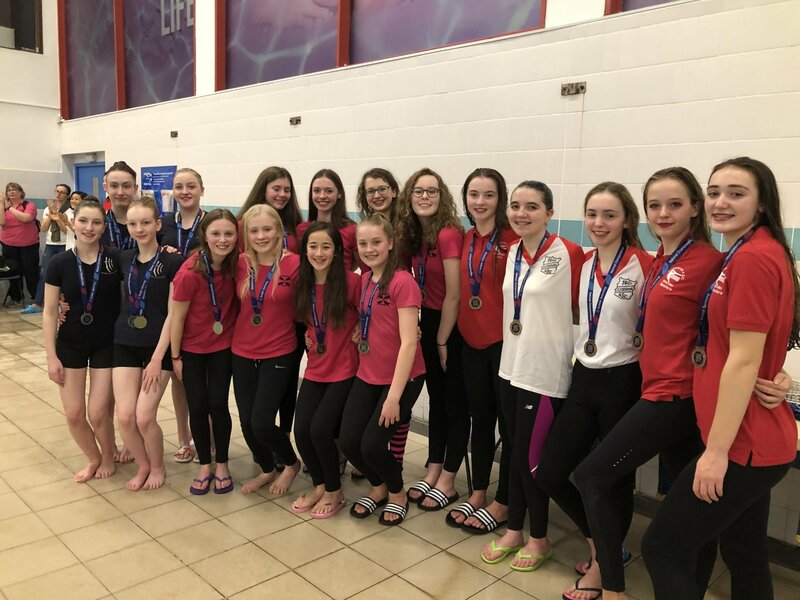 Edinburgh C and B placed 6th and 7th respectively and our D team, with our youngest swimmers, swam their best performance yet, and placed 12th. Added together, the results of the whole team meant that the club won the Mary Black Rosebowl. This is the first time since 2007. The swimmers and coaches were delighted. 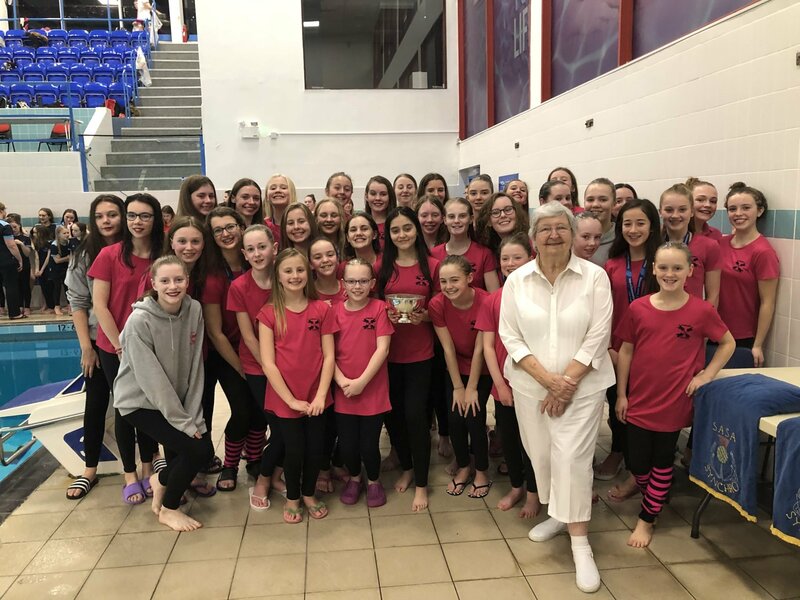 All the hard work put in this year by all the swimmers and the volunteers, both on the poolside and beyond, has contributed to this win. Well done to you all! Full results are here. Videos of all the Edinburgh routines are here.